Betula schmidtii Regel in Bull. Soc. Nat. Moscou 38 (2): 412. t. 6. fig. 14-20. 1865. et in DC. , Prodr. 16 (2): 175. 1868; Kom. in Acta Horti Prtrop. 22: 52. 1903; Nakai in Journ. Coll. Sci. Tokyo 31: 201, 1911. et in Bot. Mag. Tokyo 29: 44. 1915; Koidz. in Bot. Mag. Tokyo 27: 146. 1913; Schneid. in Sarg. , Pl. Ails. 2: 475. 1916; Rehd. , Man. Cult. Trees and Shrubs ed. 2. 127. 1940;胡先骕, 中国森林植物图志2: 19.图版6. 1948;刘慎谔, 东北木本植物图志195. 图版67. 图93. 图版68. 1. 图1-3. 1955; Qhwi, Fl. Jap. 373. 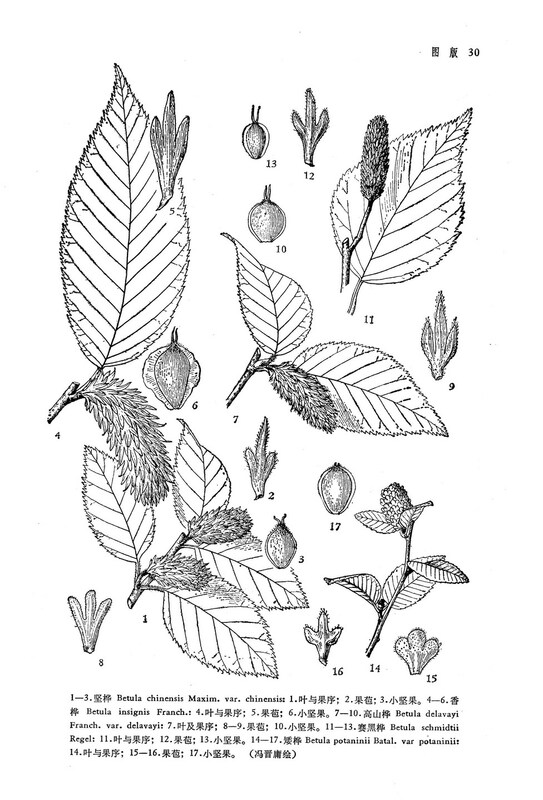 1956.-Betula dahurica auct. non Pall. : Shirai in Bot. Mag. Tokyo 19: 164. 1905.